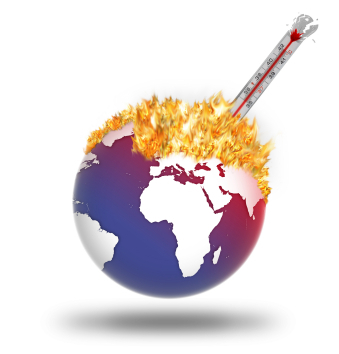 The theory that the earth’s climate is warming has been a highly debated topic in the media for more than a decade. Proponents of the theory point to evidence about melting polar ice caps and increased storm activity, while critics say there’s not enough data to know what’s happening over the long-term. But what does the evidence really say? Lyme disease – an infectious disease spread by ticks that thrive in wooded areas – is on the rise in the Northeast. 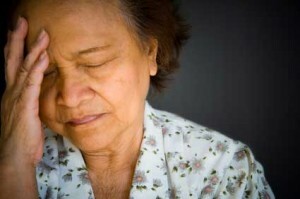 The disease can be debilitating if undiagnosed, causing chronic fatigue, joint pain and neurological problems. As a mom, it’s a really worry for me. My kids are outside every day, often on trails or in wooded areas. I check them daily for ticks, but one would be easy to miss. 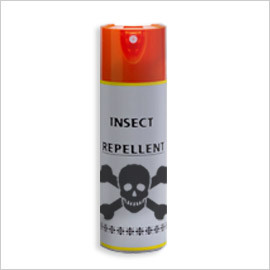 This year, I’ve often debated with other parents the risk and benefits of using bug spray. On one hand, there is clear evidence that the insecticide DEET – or N,N-diethyl-meta-toluamide – effectively repels ticks. But on the other hand, there are cases where it is clear that DEET has led to health problems including skin problems, hallucinations and seizures. So I went hunting for some more sweeping analyses on what the evidence says about DEET. The Journal of Family Practice provided a good summary of several systematic reviews on the use of DEET in children. Both found the risk of adverse reactions was low – about 0.1 percent of children exposed experiences an adverse reaction – and that there was no clear dose-dependent relationship between exposure and extent of severity of the reaction. The U.S. Centers for Disease Control maintains that DEET doesn’t present health concerns if it’s used according to the instructions, including not applying it to open wounds, under clothing, or near eyes or mouth. As a mother, though, the narrative reports of small children undergoing hospitalization for seizures and neurological problems – even though it’s a very small number of cases over decades – stick in my mind. So we use bug spray with DEET sparingly. If I know the kids will be in the woods or fields where there are higher populations of ticks, I’ll give them a light spray – always with a bath that night to wash off all of the spray. Even though the evidence shows DEET is safe, I still feel uneasy about this issue. What about you? Are you comfortable using buy spray on a regular basis? 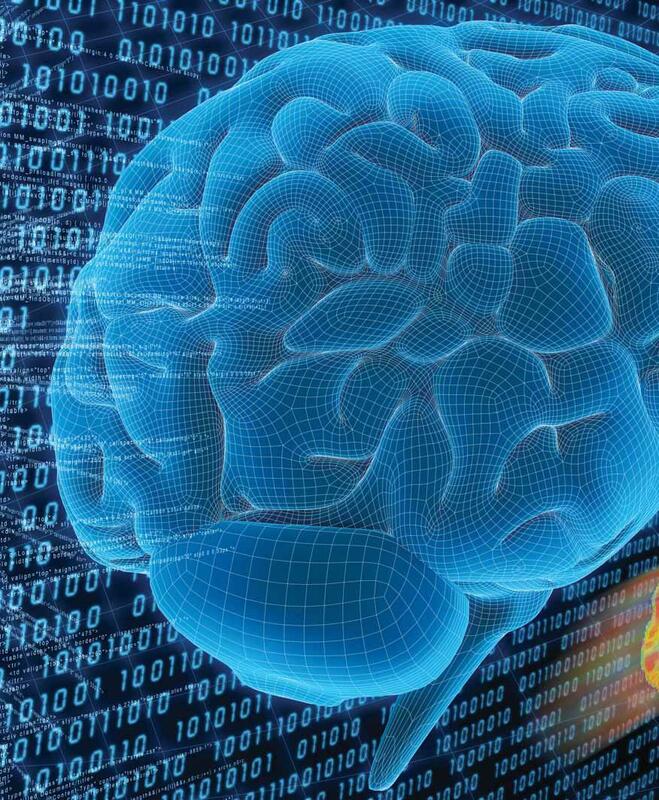 The 1990s were proclaimed the “Decade of the Brain” by President George W. Bush – an action that bolstered neuroscience research and continues to spur discoveries about one of the most important human organs. Now a new study in the journal Neuron calls into question how well the media have explained neuroscience research. The study reviewed articles publishes in six major British newspapers from 2000 to 2010. The study found three ways that the brain is commonly portrayed in the media. The first is the idea of brain as a resource that needs to be protected an optimized through, for example, doing crossword puzzles or avoiding television. This concept makes it seems like “exercising” the brain is as simple a strengthening a muscle, which is an inaccurate simplification. The second is the idea of the brain as a way to quantify the difference between people – the idea that gender, sexual orientation and conditions like substance abuse and obesity show up in our brains. While differences in our personalities and behaviors certainly do show up in our brains, it doesn’t mean that women, or gay people or alcoholics are the same. The third idea is that the brain provides biological proof of our experiences. While it’s true that our experiences do show up in our brains, the review found that media stories often overextend brain research. For example, a study showing that informational overload can crowd out empathy was presented as evidence that social networking websites like Twitter rob people of compassion, even though there’s no proof that the evidence extends that far. The take-home message: While we’re making great strides in neuroscience research, the media often extends the actual evidence in ways that may not be completely accurate. The brain is the most complex organ in the human body, and one we’re not likely to understand fully for a very long time. Do women hurt more than men? Pain is a medical issue so pervasive that it will impact the majority of Americans at some point in their lives. Here on EBL, we’ve written before about the issue of chronic pain, which effects nearly 116 million Americans. Now new research out of Stanford University suggests that women suffer more from pain than men, even when both sexes have the same condition. The study, published this week in the Journal of Pain, is not a systematic review, but it is the largest study of its kind to look at gender issues and pain. In it, researchers analyze the medical records of 11,000 patients whose pain scores were recorded as a routine part of their care. Of the 22 medical problems analyzed in the study, women reported higher pain levels for 21 of them including back pain, joint pain and sinus infections. Overall, women’s pain levels were about 20 percent higher than men’s. And for several of the ailments, women’s average pain score one point or more higher than men’s – a clinically significant difference. And it’s not the first study to raise the question of gender differences in pain. An international consensus report in 2007 suggested that hormones may play a role in the brain’s response to pain, and even went so far as to suggest that women may need different analgesia pharmaceuticals than men. Another study out of England in 2003 suggested women are more sensitive to pain caused by pressure compared to men. All very suggestive, but this literature on pain and gender differences raises more questions than it provides answers. As a recent Institute of Medicine report confirms, much more research is needed on the effects of pain. Over our most recent decade, women in the U.S. have made great strides in taking on new leadership roles. We’ve had our first female presidential candidate and our first female Speaker of the House. In 2011, 13 Fortune 500 companies were run by women and – get this! – those companies outperformed the overall stock market by 28 percent, according to an analysis by Forbes magazine. But, alas, a new meta-analysis shows that our society still views leadership as a male trait. But there is a silver lining. The analysis found that masculine views of leadership are less extreme today compared to when researchers began studying the culture of leadership traits in the early 1970s. So what’s a woman to do? Personally, I agree with Huffington Post columnist Laura Hibbard. The best thing we can do is to take on more leadership roles more often. The culture shift has already begun. Now we just need to make sure it continues. An estimated 116 million Americans suffer from chronic pain – a condition that deteriorates quality of life by hampering physical activity, as well as taking a cognitive and emotional toll. Beyond understanding the scope and magnitude of chronic pain, this is a personal issue for me. My mother suffers from arthritis that has, over the years, led her to suffer from pain 24 hours a day. She is scheduled to have knee replacements this summer, and we’re hoping that will help. But her continuing experience has definitely underscored for me what a life-changer chronic pain can be. So I was anxious to read the Institute of Medicine report released last month about chronic pain. Relieving Pain in America: A Blueprint for Transforming Prevention, Care, Education, and Research was written by a committee of 19 experts – the nation’s leading experts on reaching out to and treating people living with chronic pain – who reviewed all of the evidence available on the topic. Unfortunately, their findings aren’t incredibly optimistic. The committee concluded that health care providers and the general public need to rethink the way we view chronic pain – treating it not as just a symptom, but its own condition that requires treatment. Among their recommendations are to collect better data on chronic pain – who suffers from it and what are the consequences. The medical system needs to encourage more collaboration between primary care physicians and pain specialists, provide better pain assessments and eliminate the barriers to getting treatment for chronic pain. And researchers need to conduct more longitudinal research on pain treatment and translate findings into effective therapies. On the positive side, the report does offer a road map about how to improve life for patients suffering from chronic pain. Here’s hoping it leads to more evidence-based methods for treating it. How do Americans think about climate change? In six different ways. As divisive issues go, global climate change is a bit unusual. Often when there is a controversy, it’s because scientists disagree. However, as far as the human origins of climate change, there is actually almost no debate about the core issue; nearly all scientists, and all major scientific bodies, agree that the climate is changing and the primary causes are “anthropocentric” – that is, caused by human activity. But the way much of the the American public sees it is very different. Evidence for just how diverse our views are comes from a scientific survey of the American public conducted by the Yale Project on Climate Change Communication, which looked at “The Six Americas” and how their beliefs on climate change vary. The study found that there are six distinct audiences in the United States, each of which responds to global warming in different ways. The figure below (from the report) shows the six types and the percentages of Americans in each type. In general, the Alarmed and the Concerned are more likely to answer questions about climate change correctly than the other groups. Whereas 98% of the alarmed say global warming is happening, only 12% of the Dismissive accept this fact. Similarly, 87% of the Alarmed understand that global warming results mostly from human activities, compared to 3% of the Dismissive. The same pattern is found on one of the most objective facts about global warming: the degree of scientific consensus. Of the Alarmed, 79% understand that most scientists agree that global warming is actually happening, as do 54% of the Concerned. However, only 16% of the Doubtful and 7% of the Dismissive think that most scientists agree on this issue. But the study also found that all groups have misconceptions about global warming, indicating that many Americans know relatively little about climate change. Given that this is one of the most important issues of our time, getting scientifically accurate information out to the public clearly should be a high priority. Understanding how the “Six Americas” differ in their views can help target the information where it is needed most. Does diet soda cause strokes? Nope! And that is because of a study reported widely in the media regarding the relationship between consumption of diet soda and stroke. Strokes are very bad things, often devastating the person to whom they occur, so a finding about anything that might increase our risk for stroke is worthy of notice. At Evidence-Based Living, one of the most fun things we do is to track back from the media coverage to the actual research findings. In so doing, we hope to help people figure out the nature of the evidence and whether we should immediately change our behavior. This was an unusually big story, and so we ask: Believe it or not? First, let me say that media coverage was a little more measured than usual. Some news outlets did use headlines like that from Fox News: “Diet Soda Drinkers at Increased Risk for Stroke” which make it sound like a firm finding (and probably led to some of the heated breakfast-table conversations). But many other outlets included the all-important “may” in the headline, and the articles themselves included qualifications about the study. So let’s take a look at this finding, using some of the key questions EBL recommends you always employ when you are trying to figure out whether a scientific finding should change the way you live. 1. What kind of a study was this? Was it a good one? This is what scientists call an observational study. 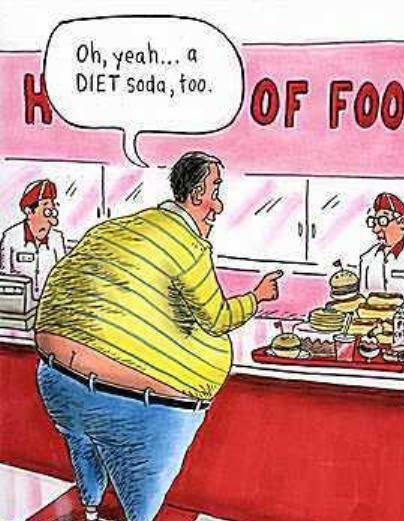 It was not a randomized, controlled experiment in which some people were asked to drink diet soda and others were not. It uses a longitudinal study called the Northern Manhattan study (or NOMAS). And yes, it is a very good study of its kind. It looks at stroke risk factors across white, black, and Hispanic populations living in the same community (northern Manhattan). It is a large and representative sample, followed up annually to determine if people suffered a stroke (verified by doctors on the research team). Many publications in top referred scientific journals have been published from the study (some of which are available for free on the website). 2. Where did the information in the media come from? Here, in EBL’s opinion, is the first problem. The results were presented at a scientific conference this week (the American Stroke Association). This is not the same as being published in a referred scientific journal. In addition, we cannot follow an EBL cardinal rule: Go to the original article. The only information that is available on the study is from a press release issued by the association and subsequent interviews with the study’s lead author and other experts. So we need to wait until the results are published before we even think of changing our behavior in response to them. 3. Are the results definitive? No, no, and again no. There are some good reasons not to drink diet soda (including possible increased risk of diabetes and osteoporosis), but these findings do not “prove” that diet soda leads to strokes. All the data are self-report, so we are dependent on people remembering their diet soda consumption. It’s the first study to show this association. EBL readers know that we need multiple studies before we even begin to think about recommending behavior change. It’s not all diet soda drinking: It looks like only people drinking diet soda every day show the association with stroke, suggesting that lower consumption may not increase risk. The study is not representative of the U. S. population. First of all, you had to be over 39 years old in 1990 to get in the study and the average age of the sample now is in the late 60s, so the results can’t be generalized to younger people. Further, the sample for this study included 63% women, 21 % whites, 24 % blacks and 53 % Hispanics. In the U.S as a whole, 51% of the population are women, 77% are white, 23% black, and 16% Hispanic. So it’s a very different group from what a random sample of Americans would get you. We don’t know the reason for the association. The lead author, Hannah Gardener, is open about this: “It’s reasonable to have doubts, because we don’t have a clear mechanism. This needs to be viewed as a preliminary study,” By “clear mechanism,” she means that even if this relationship exists between diet soda and stroke, we don’t know why. There’s more we could say, but our main point is this: It doesn’t take very long for you to “deconstruct” what the actual evidence is behind a news story. With a basic understanding of how studies are done and access to the Web, you can often find out as much as you need to know. In this case, the media have reported the first highly tentative findings of an association between two things. Now other scientists need to test it again and again to see if it holds up, as well as finding out why the association exists. 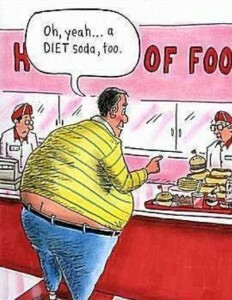 I go for sparkling water instead of diet soda because of other problems mentioned earlier with diet beverages. But regarding stroke risk, the data just aren’t there yet.